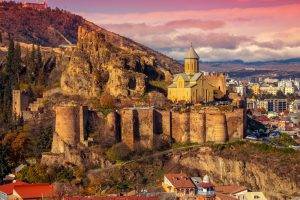 Thinking of a wine holiday and wondering where to go?Â Georgia, the former Soviet Republic in the Caucasus mountains withÂ Tbilisi as itsÂ the capital, is worth checking out. Georgia reflects a long and complicated history with periods under the Persian and Russian rule. To explore Georgia with its unusual landscapes ancient fortresses and monasteries, cave complexes and old towns not to mentionÂ Georgian wine and food, Black Swan Journeys is offering a tempting package specifically designed for wine enthusiasts and others associated with the industry. 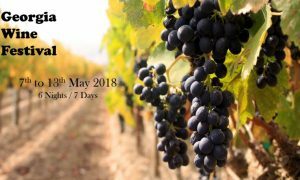 Furthermore, the Georgian travel plan is customized around the “New Wine Festival” in May which is in its 9thÂ year. 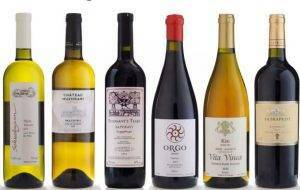 All the wineries from Georgia that export wine,Â whether small family-owned businesses or largeÂ companies, will be present with their wines. One of the reasons the festival is set at this time is because the “Qvevri ” vessels â€“Â used since ancient times to ferment grapes â€“ are ready to be unsealed. Georgia is one of the oldest wine regions of the world and the fertile valleys of the South Caucasus have been producing wineÂ since the earliest times with cultivated grapevines and wine production from 80,000 years ago. 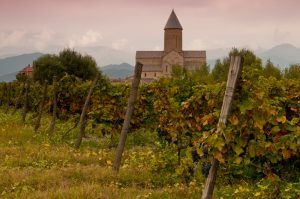 Explore the beautiful vineyards of the KakhetiÂ wine region, which offers an unforgettable experience for first-time visitors as well as those well acquainted with its heartwarming culture. Discover the unique Qvevri tradition of fermentation in clay pots used to create delicious, unï¬ltered, organic wines. There are many different wineries you can visit and taste a variety of wines. The Alaverdi monasteryÂ and wine cellar were founded in the 6th century. The complex includes a refectory, a bell tower, a wine cellar, a bathhouse, etc, dating back hundreds of years. The package also includes a visit toÂ Kvareli Gvirabi,Â Georgia’s largest wine cellar with 7.7 kmÂ of tunnels and galleries that maintain a constant temperature of 12 to 14Â°C and 70% ofÂ relative humidity all year round. Other attractions areÂ Sighnagi,Â a town with fortress walls, and the house museum of Alexander ChavchavadzeÂ in Tsinandali, a manor house that belonged to a famous Georgian family.Â Chavchavadze invited the best winemakers from Europe to build the first wine factory to produced wines according to European technologies. Gremi Historical complex, Nekresi Monastery are alsoÂ well known and interesting places to visit.Â Towards the end of the trip, you can spend a full day at the natural wine exhibition with natural-minded winemakers and exhibitorsÂ looking to make modern wines in the old way and get to taste some of the best from Georgia. Black Swan’s itinerary is designedÂ around two nights in Tbilisi (7th & 8th May 2018), one night in Telavi (9th May), and then three nights again in Tbilisi (10,11,12th May). Tour Cost: Rs 95,000 + 5% GST per person on double sharing, single: Rs 28,500 + 5% GST for additional person.